Braces fascinate you, but your teeth are so perfect aligned that you don’t need braces or you have to play some role in the theater then you are visiting the right page. I know that sometimes fake braces or a fake retainer can be fun to wear as part of a costume. 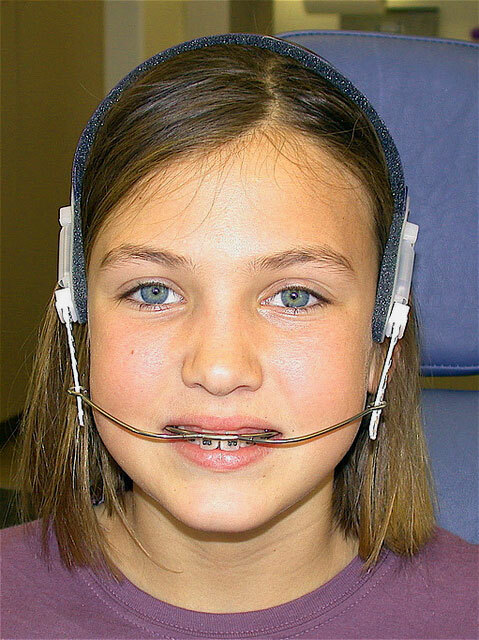 You may simply like the look of braces but as you do not require them, that’s why you can’t wear them. But don’t worry, if you don’t need them even then you can experience how they feel like and how they look like at your face. It’s easy to make fake braces and a fake retainer using bobby pins, wax, and earring backs. But remember, these braces are fake and should not be used in place of actual braces if you’re in need of orthodontic care. In addition to this, you should also never wear fake braces for long periods, as they can cause damage to your teeth and gums. If you have naturally straight teeth, you should consider yourself really lucky as you have already spared a lot of extra time, money, and discomfort that is associated with the process of braces. when you start to wear braces and also the process of putting them in your mouth bring considerable pain as well as discomfort while eating especially. So if you want to wear fake braces then you can enjoy the outlook of braces without going through all painful process. Whether you need them for a costume or you just want to change up your look, fake braces are easy to make and wear. There are a few methods, that can help you to make fake braces. But be careful, because every time, when you tried to put metal against your teeth, you may scratch your enamel layer, which is there to give your teeth shiny look. Use fake braces when you want to play dress-up or need an accessory for a costume, but remove them as soon as possible. In this article, you will find an easy method to make fake braces, with using a different material. So keep reading, it’s easy. I am sure that you have read carefully what I have mentioned above like you have to be careful while wearing fake braces and also to avoid their long-term use. Now it’s safe to move to the step where I will tell you, how to make and wear a fake version of braces. Let’s try. First of all, collect all things that are required to make the fake pair of braces like a thin paper clip, beads, thread, orthodontics wax and pair of pliers. Beads are easily available in super stores. Choose a color which you like or one that goes perfectly with your costume. Unroll a paper clip and make a large “U” shape as it is thin so you can do it easily with your hands. The thicker paper clips is not recommended as it will look clunky and unrealistic on your teeth. U shape would fit around your top teeth. After creating the “U” and smoothed out any kinks in the wire, its time to do a test with it. Smile and pop the wire onto your top teeth. Fix any areas where it’s uncomfortable or doesn’t look natural. The most important thing here is to see how many teeth are showing when you smile naturally. You’ll need one bead for each visible tooth. The beads, we are using here, are substitute for brackets of braces. Now, thread your beads onto the paperclip. After they’re all on the paperclip, hold it up to your mouth and test again. Smile and adjust the beads in a way that each one is centered on a tooth. 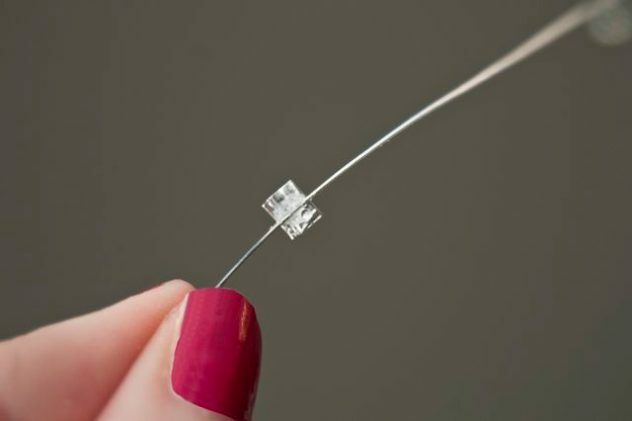 After they centered properly, carefully remove the brace and lay the paperclip on a stable and smooth surface, and make sure that the beads don’t move from their measured positions. By using a non-toxic superglue, carefully glue the beads into place and let the glue dry for about ten minutes. Once it becomes dry, carefully scratch off any excess glue. Your fake braces are ready to wear. You need to be careful while putting these fake braces on your teeth. Bend the ends of the paperclip. Take a pair of pliers and bend the ends up 90 degrees into an “L” shape. Now bend the tip of your “L” back till the time, it lies flat on the back of the “L.” Don’t lose patient, and do it carefully because it may need few gentle compression. Apply orthodontic wax, which is easily available at most drugs stores. Make two tiny balls from wax and push each end of your braces through a ball of the wax. Gently place the braces over your top teeth and adjust them. Gently push the orthodontic wax against your teeth so that it helps hold your braces in places. You may have to play around with your braces till they look perfect.